Ihsan Wazirvool from Waziristan region of Pakistan has raised concerns over the failure of authorities to ensure that teachers are turning up to deliver lessons to students in Wana for which they are paid. Wana is the largest town of South Waziristan Agency in Pakistan’s Federally Administered Tribal Areas (FATA). “This is the picture of the students of the government high school Dabkot Wana who came out on road last day to protest against the non availability of the teaching staff. They closed the road between Wana and Aza Worsak for few hours. They said that the teachers are not permanently attending the classes for the past six years. They said that our future is in the dark and we want to brighten it with the candle of education. 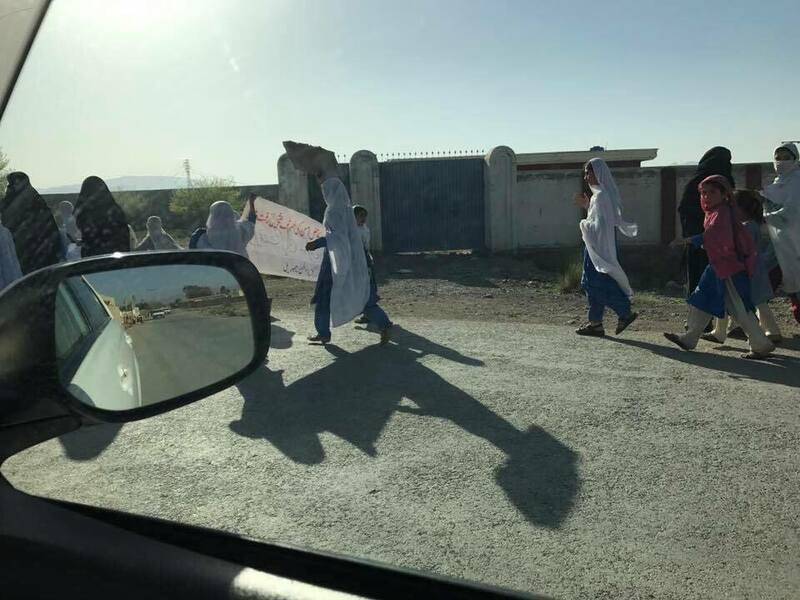 They said of the teachers that will not come to attend the schools regularly they will continue their strikes till the authorities take action against those teachers. Malala Yousafzai is a young girl and campaigner on education for girls who was shot by the Tehreek-e-Taliban (TTP) in Pakistan. Many media misreported the story as her being attacked due to fighting for the right to be educated. The Taliban denied this was the case stating it was not about education but that she had maligned the Taliban. They consider Malala an “enemy of Islam” according to their official statements to Pakistan media and the Wall Street Journal. Wazirvool criticized the authorities for not taking a proper look at teachers’ attendance rates and checking on the schools. He says there have been no protests by male students regarding teachers not fulfilling their commitments. The girls are determined to continue their struggle and ensure their rights are met. Pakistan is a predominately Muslim country and Islam stresses the importance of education for women. It remains to be seen whether the young activists will shame those responsible for their education into sorting out the problem of absent teachers so that they can continue their schooling as a matter of urgency. So far there has been no response.